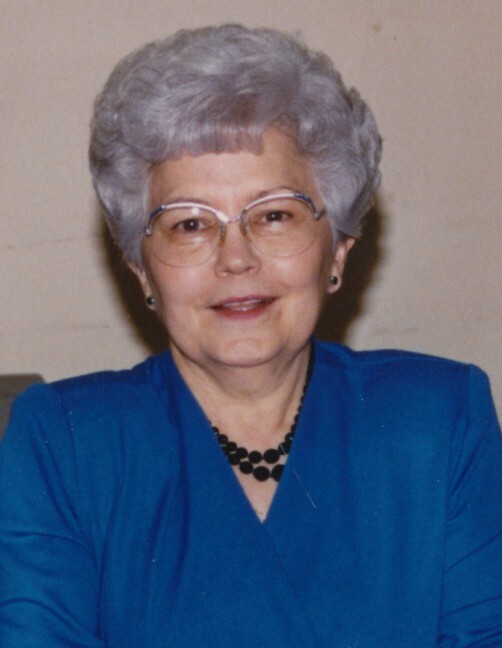 Betty Maggard Elliott, 89, of Russellville, passed peacefully and went home to be her Lord on Friday, February 1, 2019 at St. Mary's Regional Medical Center in Russellville. The daughter of Oscar Ben and Cammie Mae Malone Virden, she was born October 23, 1929 in Moreland. She was a 1947 graduate of Dover High School and worked for 17 years at International Shoe Company in Russellville. Betty worked for 24 years as a bookkeeper and teller at The Bank of Russellville, later First Commercial Bank, at the time of her retirement in 1989. She was a long time member of the Harmony Free Will Baptist Church and was preceded in death by her parents, her husband of 54 years, Dale Maggard; a sister, Geraldine McAnulty, and infant siblings, Fred Kenneth Virden and Charles Katherine Virden. She is survived by her husband of 15 years, Leonard Elliott, Russellville; a sister, Juanita (Charles) Barber, Russellville; nephew, Kevin (Alexis) Barber, Moreland; niece, LaRue (Butch) Booher, Conway; great nephew, Terry Don Booher and his family of Conway; a cousin, Wilson (Sada) Vandiver, Conway and other cousins, friends, and extended family. Funeral Service will be held at 2:00PM, Monday, February 4, 2019 at Harmony Free Will Baptist Church. Rev. James Chronister and Mr. Jim Bob Humphrey will officiate. Burial will be at Hudson Cemetery in Moreland, by Humphrey Funeral Service. Visitation will be from 3:00 pm to 6:00 pm, on Sunday, at the funeral home. Memorials may be made to Harmony Free Will Baptist Church, Hwy 124, Russellville, AR 72802. Internet obituary and on-line guest book are available at www.humphreyfuneral.com.